There are various ways or methods you can use to select shares to make money from the stock market. Technical and financial analysis are commonly used. As you have just heard from Mr Ooi Teik Bee who is an expert in Technical analysis and Financial analysis. I am not an expert in charting. I only look at the price trend, whether the share is on an up or a coming down. I will only buy if it is on an uptrend because it is most likely the price will go up higher for some time. I will not buy any stock if it is on a down trend because it is most likely the price will continue to drop for some time. When you buy a share, you expect to make money from its dividend yield and price increase. There are many share selection criteria such as NTA, dividend yield, cash, debt, profit, loss, cash flow, number of shares issued etc. Many investors like to look for good asset backing (NTA), for example some property companies are selling below their NTA. But their share prices will not move higher for a long time. Many investors like to look for good dividend yield, for example Nestle or Public Bank. But their share prices move up very slowly. Almost all the listed companies in Malaysia are young and they do not give out better dividend than Bank interest rate. Smart investors always aim for share price increases to make money. I read several books by Benjamin Graham, Warren Buffett, Peter Lynch, William O’Neal and others. All of them preached value investing. After using value investing for some time, I found out that it took too long to make money. For example, currently, many of the property companies are selling below their NTAs and if you buy them you will have to wait a few years before you can see their share prices increase to make money. Among all the stock selection criteria such as NTA, cash rich, debt, cash flow etc, the most powerful catalyst to move share prices is profit growth prospect. My golden rule is the company must report increasing profit for 2 consecutive quarters and the price is selling below P/E 10. Based on my golden rule, I discovered Lii Hen, Latitude Tree and VS Industry a few years ago and became the 2nd largest shareholder. Lii Hen and Latitude both of which went up about 800 percent within 2.5 years. The above chart shows that Lii Hen went up from 40 sen in mid 2013 to Rm 3.00 in Oct 2015, an increase of 750% within 2,5 years. Its 2015 annual report showed that I was the 2nd largest shareholder, holding 19.80 million shares. The above chart shows that Latitude went up from Rm 1.00 to Rm 8.00, an increase of 800 % within 2.5 years. Its 2015 annual report showed that I was the 4th largest shareholder holding 6.32 million shares. The above chart shows V S Industry went up from 30 sen in June 2014 to Rm 2.40 in Sept 2017, an increase of 800 % within 3 years. Its 2015 annual report showed that I was the 2nd largest shareholder, holding 102 million shares. Based on this well tested formula, I have formulated my share selection golden rule. Carimin is a good example. Its financial year ends in June and when it announced its 1st quarter ending Sept of EPS of 5.1 sen at the end of November, its share price was around 30 sen. I started to buy very aggressively. It shot up rapidly to about 90 sen, 300% within 2 months in February. You can see from the above price chart. Note Carimin was selling at 93 sen in Feb.
Dayang is another good example. Its financial year ends in December and when the company announced its 4th quarter EPS of 10.13 sen its share was selling at 60 sen. I immediately started selling Carimin at 90 sen to buy 1.5 Dayang share at 60 sen. Eventually I sold all my Carimin to buy more Dayang. You can see the below price chart. I saw its profit growth for its 2 consecutive quarters 2nd and 3rd quarter, I started to buy it. When it reported 10.13 sen for its 4th quarter, its share price continues to rise rapidly. 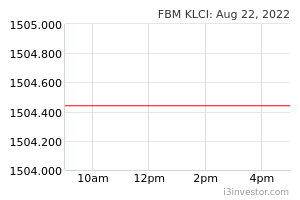 It has gone up from 60 sen to close at Rm 1.72, about 300% within 2 months as shown on the chart below. Now I can sell 1 Dayang to buy almost 2 Carimin. Of course, I would not do that because Dayang has a better chance of going up faster than Carimin. It can shoot up faster because of its accelerated profit growth. No share can go up or come down continuously for whatever reason. After some time, the trend must change. In the case of Dayang, as shown on the price chart, the corrections in the last few occasions have been very small. Since the price has been going up so rapidly, many day traders would sell to take profit and hope to buy back at cheaper prices than what they sold. In this case, the price correction is so small, many day traders are caught. They have to buy back at higher prices than the price they sold. Many would not admit their mistake and buy back a higher price. They would miss the golden opportunity to make a lot of money. What is my target price for Dayang? Based on the rate of profit growth in the last few quarters, it is most likely that Dayang will report EPS higher than the previous quarter of 10.13 sen. It is safe to assume that the EPS for the next 4 quarters are the same that is 10.13 X 4 = 40.5 sen for the year. If I based on P/E 10, the price should be Rm 4.00. Why the daily volume is tens of million shares? Many cash rich institutional investors must be buying it aggressively. That is why the daily volume is tens of million shares. They must be expecting a higher EPS than 10.13 sen for the next quarter which will be announced before end of May. I will not sell at my target price of Rm 4 if it continues to report increasing profit. I will start to sell as soon as I see the company report less or reduce profit. But you must bear in mind that many company’s product or services are seasonal. All readers should examine their track record honestly. If they have not been so successful or making much money by using charts or other methods, they must follow my well tested KYY Golden rule. Readers must check all the shares they are holding to see if they comply with my share selection golden rule. If they do not, they should sell.